I am interested by Heltec HT-M01 LoRa concentrator board for €100 and have been reviewing the documentation from Heltec and @xgarb’s blog. 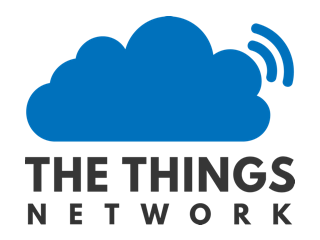 All the descriptions describe connecting the device to a Pi, either by SPI or USB. But I am interested to connect it (via USB) to a small server running Ubuntu 18.04 LTS. The server has a single core AMD CPU and performs various other duties (file serving, streaming music (mini-DLNA), and streaming/recording DVB TV broadcasts (TVHeadend)). The server is connected to my broadband router via a gigabit switch. So does anyone know, or can give an opinion, if the instructions to build/install the packet forwarder onto my Ubuntu server would work? Initially, I would attach the small antenna that ships with the M01 and the gate way would be indoors. But later I would like to use low-loss cable through the wall and attach a higher gain outdoor antenna on the outside of the building. Hello Paul, in case you are using a server class host, why are you not using a device like our n-fuse LRWCCx-MPCIE card together with a proper PCI to mini PCIe adapter. This way you can embed the concentrator easily into your server. Thankyou Thomas! An excellent alternative suggestion that I should consider. Can you recommend an adapter? It would need to be low profile and ideally have a pigtail or mounting hole for the pigtail’s sma socket. Can you tell me the exact model of your server?, then I can suggest you something. The server is home-made from old parts. The server case is 2U size (height) and the motherboard is mATX. It has 1 x PCIe x16, 1 x PCIe x4 and 2 x PCI slots. Currently, one PCI slot is occupied with a gigabit ethernet card, if I remember correctly (I will check this evening). Would this is be suitable? 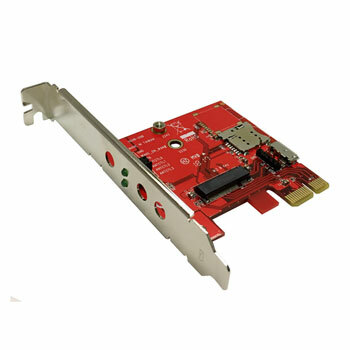 Yes this is what I mean but we need to check that it’s actually compatible because it needs USB on the mini PCIe Header and I think USB is not available on the PCI bus. Cool. Will the pigtails that come with that card be suitable for LoRa? i.e. is the impedance required the same as is used for WiFi? I understand impedance changes with frequency, and Lora uses a lower frequency than WiFi. I’m not sure what pigtails ship with this device, maybe the IPEX connector does not even fit. So if you want to be sure, just order a pigtail from our website with the device. Are you referring to the PCIe adaptor card or the n-fuse card? I mean the adaptor device. In the picture you can see that there are pigtails but I don’t know whether they fit. 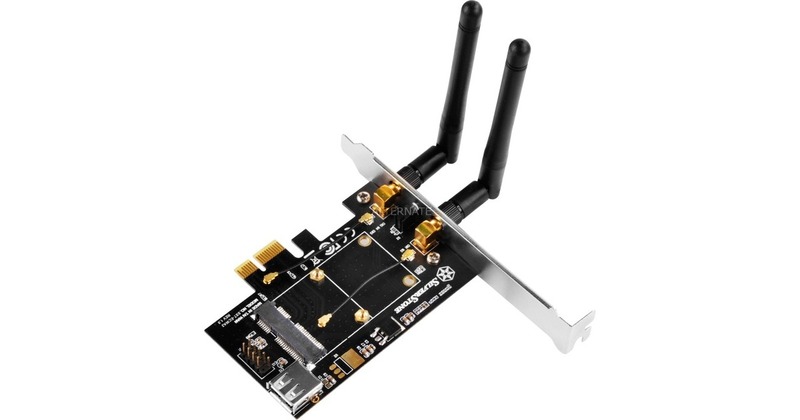 So cost-wise, this solution, including the pigtail, antenna, PCIe adaptor, tax & shipping is similar to the Heltec device. It would be a slightly neater solution, being installed into my server case. What other advantages, if any, would the n-fuse card have over the Heltec USB device? Does it have better capabilities, better support…? Don’t buy this kind of PCI adapter. It adapts PCI lanes to MiniPCIe lanes only. n-fuse uses USB interface over the MiniPCIe pins. n-fuse is better quality than chisese Heltec. both are USB devices, both follow the same pico-gw reference design and can use the same software. Thanks @nestorayuso. How can I identify PCI/PCIe adaptor with the required capability? @PaulRB2 What’s wrong with the one I’ve pointed out already? Why do you need another one? According to @nestorayuso, the Silverstone adaptor is not suitable because it does not support USB over PCIe lanes. rely in @Vanthome, he works at n-fuse, and know better than me the right adapters. the adapter he propose seems valid, it has a four port USB hub in the board, one routed to a USB-A connector, another one routed to MiniPCIe conector and two more on pin headers. But, when I look closely at the Silverstone card, I’m not sure that the n-fuse pigtail can be fitted. I think the “pigtails” already fitted to the card cannot be removed. Maybe this adaptor would be more suitable? It comes with no pigtails so perhaps could accept the n-fuse pigtail? However, the card is described as “M.2”, not “Mini PCIe”. I am not expert in these differences. @Vanthome @nestorayuso can you comment please? 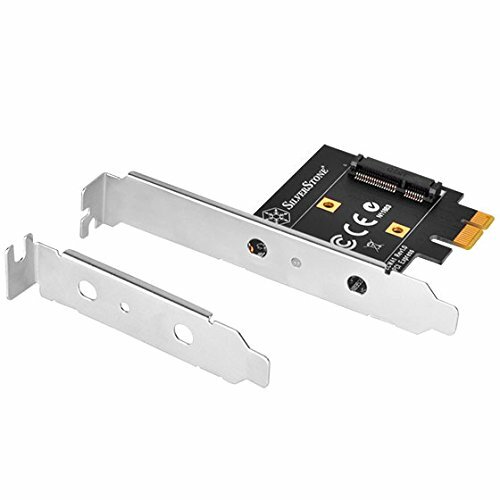 EDIT: I discovered that m.2 is a different size connector to mini-pcie, so this adaptor is not suitable.